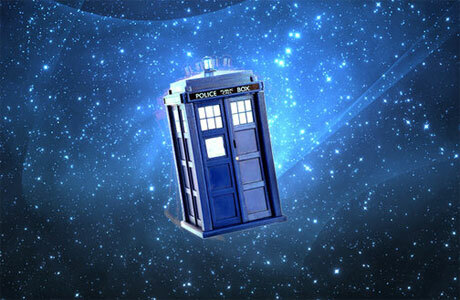 I was born in 1963 – the same year that Doctor Who premiered on the BBC. I first remember watching the show in the early 1970s. Jon Pertwee was the Doctor – a dashing figure in tweed and a cape who drove a vintage car called Betsy. There were wonderful monsters and creatures and working with the Doctor was Liz Shaw – an accomplished scientist. As a kid who loved science and robots and dinosaurs and tentacles it was my ideal show. Doctor Who was a constant through my childhood. It aired in Australia on a Saturday night and back then each story was told over four to six 25-minute episodes. Like many kids I recall being scared by the monsters and some of the stories which often featured people’s minds or bodies being controlled by aliens. As a kid in a crappy family, seeing people fight back against powerful malevolent forces did my soul some good. Doctor Who followed in a British tradition of adventure tales, the ripping yarns I had grown up with -The Famous Five, Peter Pan, the Narnia books and the stories of Robert Louis Stevenson. With its travel in time and space, Doctor Who also bought in elements from the comic book world – a hero from another world, alternate timelines and a hand wavy relationship with the idea of canonical continuity. It was fantastical and imaginative and transported me out of life in the suburbs of Australia that seemed small and limited. When they made this particular hero, they didn’t give him a gun. They gave him a screwdriver to fix things. Stephen Moffatt. As a hero, the Doctor is relatable. The Doctor is an alien but aside from the ability to regenerate when near death and a few other physiological quirks, is very much like us. The Doctor doesn’t have superpowers, just a lot of experience and a smart brain. You never feel that the Doctor is invincible – and given that they have “died” a dozen times in the show, you know they are not. The Doctor cares – they literally have a second heart. A social justice warrior, the Doctor has always been driven to protect the oppressed and do what’s right. At the same time the Show has never resiled from exploring from the moral challenges that comes with power and meddling in the lives of others. The Doctor often found that the ugly creatures were the victims, and the figures in authority were the most evil. A hallmark of the series is its unique way of replacing the actor who plays the lead chacrter, turning this challenge into the very basis for its longevity. I only vaguely recall the third Doctors regeneration. I do, however, vividly recall when his companion Jo Grant fell in love with an environmental scientist and activist and left a bereft Doctor to do research in the Amazon. It was sad and kind of shocking that someone would choose to leave the Doctor, but at the same time a wonderful representation of a woman choosing her own adventure. Tom Baker for many years was my Doctor (I am a little less monogamous with my favourites these days). His Doctor was more alien than Pertwee’s and an intriguing mix of silliness and intensity and stories that spanned many genres from manor house murder mysteries to gothic horror. This Doctor’s companions reflected this range as well including as they did Leela – a warrior woman – to Romana – a Time Lord – as well as the iconic Sarah-Jane Smith. It was perhaps the Doctor’s casting aside of Sarah Jane that hurt a lot and reminded me that they were an alien hundreds of years old with grand matters to deal with that didn’t leave space for friendship. Or maybe, that the Doctor is just not good at intimacy. Sure, they leave people, saying it’s for their own protection, their own good, but the Doctor does not like people to see them vulnerable. There’s a melancholy thread running through the series – the Doctor persists but his friends, his companions come and go. The Doctor yearns for connections, and thrives when with friends, but ultimately, they do end up alone in the TARDIS, again. Nope, nothing here I can relate to. In the 1980s, my uni friends and I would get together to watch the episode every week. One of the reasons this show has run for over 50 years, is its ability to entertain people of all ages, as all great stories do. I remember our shock at seeing Tom Baker’s Doctor, the doctor we had grown up with, regenerate into Peter Davidson. Most of us were familiar with seeing Davidson having his hand up cows’ vaginas in “All Creatures Great and Small” in which he starred as a Yorkshire vet. That helped us accept him, although he was very different than Tom Baker’s Doctor. There were also three new companions, one of who was an Australian called Tegan who we all, in a manifestation of cultural cringe, instantly disliked. But as the show has demonstrated over 50 years, we soon became accustomed to the Doctor’s new face, and bonded with his companions. I remember getting very drunk after the episode in which Adric sacrificed himself. I liked Adric, don’t @ me. I related smart nerdiness and related to his slightly arrogant manner. By the time Who was cancelled in the late eighties I was no longer an avid viewer, but I found over the following years, as series were released on VHS tapes, that I would return to watch stories particularly from the Tom Baker era. Even with the cheap cardboard sets and dodgy monster suits, the stories still entertained and resonated. Something about the sincerity and optimism and lack of cynicism in the show has been a well spring of hope as I’ve struggled with the darkness both within myself and in the world. In the mid-90s it was announced that Doctor Who would return for a TV movie and maybe, if that was successful -a series. At the time I was deep into the X-Files, and my fannish friend Kate with whom I would dissect every episode and attempt to unravel the byzantine mythology, was also a Doctor Who fan. Together we supported each other through the anticipatory excitement and the bitter disappointment at what was delivered. I am much fonder now of the movie and Paul McGann’s Doctor, but back then it just felt too unlike the show we loved. To be honest most of the problem was that it took place in America; the same story set in Bournemouth would’ve been much better received. If the show wanted to court a broader audience, it had to win it’s original one back first. A couple of wonderful things did happen during the wilderness years. One is that in a desire to continue telling Doctor Who stories, Big Finish Audio began producing audio plays based on some Doctor Who novels, and eventually got a license to produce their own Who stories. This kept the stories and fandom vibrant in the absence of the TV show and the canon evolving. Also, during this time, the fan convention Gallifrey started in Los Angeles, bringing over many actors and crew from the show from England. It continues to be an amazing convention. I have been several times and met people who first attended as kids, who have met their partners at the con and now bring along their own children! It’s also wonderful to get to meet people who were making this show 30 and 40 years ago and to see how this show has had an impact on so many people around the world. Meeting women who played those early companions such as Katy Manning who played Jo Grant is such an honour. There’s no doubt that often the female companions have been the damsel in distress, but they all were distinctive characters with their own stories, played by amazing actors. I sometimes feel in critiquing the limited or caricatured roles women have played when have played we can inadvertently dismiss the actresses who played them as well, so it’s wonderful to see these women lauded as they so deserve. When Russel T Davies bought Who back in 2005, I had mainly put the trauma of the tv movie behind me. I had no expectations from a new series; I was curious and hopeful, but I had enough other fannish loves in my life not to feel that I had to rekindle this one. That seems to be my way with shows – I can love them with a passion, but if we drift apart (hello X-Files Season 9 and beyond) it’s never with enmity, at least not on my part. I knew and liked RTDs work from the ground-breaking Queer as Folk (presciently one of the lead characters Vince is a Doctor Who fan!) but had no idea what that would mean for the series. RTD delivered. The Show felt familiar but fresh, and new in a way that didn’t feel that it had been updated and lost the heart of the original. Christopher Eccleston and Billie Piper provided a new Doctor and companion I loved. Doctor Who was now a bit queer, and but also a bit more heterosexual than before, and blessedly less racist. The female companions screamed a lot less, there were more characters of colour and Captain Jack Harness as played by John Barrowman gave us a character so grandly queer and camp he spun off into his own series in Torchwood. The format shifted to one-hour episodes, but often with a season long story arc in addition to the adventure of the week. I still miss the serialised format, which allowed much more time for characters to develop and stories to evolve. Big mythology became the fashion in TV (LOST started the year before Who returned) and Stephen Moffatt, in particular, loved of multi-season mythology which I felt often constrained the story of the week. The Doctor of course, kept regenerating. Eccleston left and Tennant arrived and then Matt Smith and most recently Peter Capaldi. Each of them, and the writers, managed to give us a new Doctor who felt like the one we knew, but a bit different. They each had a differing mix and tone of the passion and curious, and joy and darkness that makes up the Doctor. Each was unique and became – for some fan – “their Doctor”. Still we had some cracker companions – Rose was a favourite of mine, and the feisty, sarcastic Donna. Martha got a raw deal. Amy reminded me in many ways of Sarah Jane although under Moffatt she, and later Clara, seemed written mainly to serve the myth arc (hello impossible girl), and sometimes they felt like plot devices rather than characters to me. Somehow woven through all this we got the brilliant Alex Kingston as River Song (and I can only hope we get to see her back with Thirteen). I really loved Peter Capaldi’s Doctor, and the last season with Billie was my favourite in a while. I loved their dynamic – Billie is a student who is keen to learn, aggressively curious and up for adventure. She’s the first queer companion who falls in love with a sentient puddle of a space lesbian who eventually rescues her after she has been converted into a killer robot. It was sort of romantic, though I did have a tab open on the “Bury Your Gays” entry on TV Tropes. And now it’s time for a new Doctor. The possibility of a female Doctor has been dreamed of for years. As he left the role in 1980 Tom Baker said, “I wish my successor, whoever he or she might be, the best of luck.”. I am both shocked it has taken this long, and at the same time surprised it has happened at all. Better representation on TV for many groups has been slow and certainly not linear. On both UK and US Tv there was an increase in lead roles for women and people of colour that has waxed and waned since the 1970s. Its not surprising, as it is systems that keep these barriers in place. Occasionally one or a few individuals will manage to change things, but the system will be self-correct unless there is a commitment to organisational change at networks or production companies. We can applaud the exit of a Les Moonves, but his legacy, the many people he selected with similar values, and those values themselves, will persist unless actively dismantled. Whittaker and Chibnall talked about the importance of the Doctor as a woman as a great role model and hero for both young girls and boys. The Doctor’s change in gender, and the way women experience the universe differently, will be addressed in the series. The Doctor is used to people usually responding to him as a white man who is unquestioned as an authority figure, but that will change. This is important, as to have a Doctor presenting as a woman but not experience that gender as any different would diminish the impact of the gender swap. It was clear from my talk with Chibnall, that a concerted effort has been made to ensure as he put it that there is “no barrier to entry” for new viewers. This season will have ten standalone episodes. There’s no myth arc and no returning monsters. There’s three new companions, or best friends as they are being called, a diverse bunch who are likely to help the show continue its track record of appealing to people of all backgrounds and ages. Mandip Gill plays Yasmin Khan, a young curious copper who has “a willingness to learn and is really up for an adventure”. Ryan is played by Tosin Cole, who described him as “a chap that finds himself in this crazy situation and goes along with the flow. He’s a bit sceptical at first but he opens up to it.” Bradley Walsh is Graham, the character we know least about. In Hall H at Comic Con when the crowd roared with cheers as Jodie Whittaker took the stage, I cried. It surprised me, I didn’t expect to feel so much. But after 50 years, to see a show I love continue to entertain and engage and evolve, to see a Doctor who looked like me, meant more than I can say. Here’s to this regeneration and many more.